it's an ecstatic video game fever dream, please insert a coin. Fresh, new style! I love it! さらにパワーアップしてる！Congratulations! Dé Dé Mouse’s new album « Dream You Up » is a release inspired by the past, yet looks toward the future. It’s soaked with happiness – a positive album that takes a retrospective look into 10 years of his career. A delightful anniversary album! I’m excited to attend his energetic live shows and dance to his new composition that surely will keep me up all night long. Stylish!! full of surprises,full of great melodies. The most innovative work I've heard in years!!! (in french) Le nouvel album de DÉ DÉ MOUSE, Dream You Up, contient toutes les influences 90’s rave, IDM, et même breakcore qu’on lui connaissait déjà mais ajoute des sonorités futur bass, post house le tout dans sa célèbre gamme mélodique entre hard techno et les dessins animés de Disney. C’est vraiment ce genre de mélanges absurdes qu’on attend de la scène Tokyoite et on pourra retrouver DÉ DÉ MOUSE sur la scène japonaise SPACE O.D.D. du festival Magnifique Society à Reims le 20 et 21 mai. On a hâte! 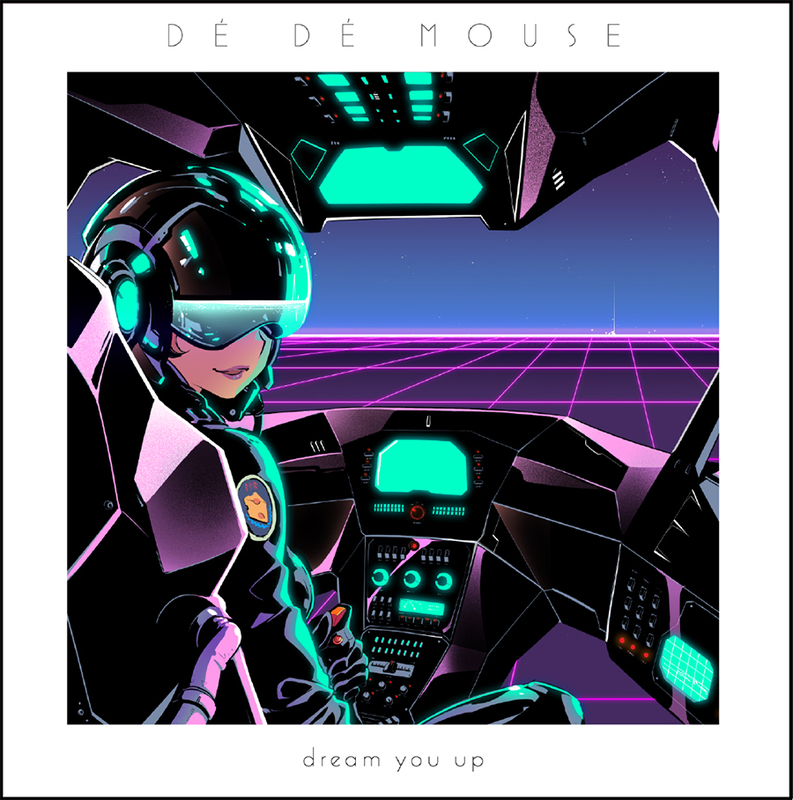 (in english) DÉ DÉ MOUSE’s new album Dream You Up, is filled with he’s usual influences such as 90’s rave, IDM, and breakcore, what’s new is the addition of futur bass and post house sounds. All of this is played in he’s famous melodic sens between hard techno and Disney’s cartoon soundtracks. That’s the kind of absurd melange we can have from the Tokyoite music scene and you will have the chance to listen to DÉ DÉ MOUSE on the SPACE O.D.D. japanese scene in the French music festival Magnifique Society in Reims on may 20th and 21st. We can’t wait! Listening to DÉ DÉ’s music is rejuvenating―he’s a huge inspiration for me. He puts so much hard work into what he does, and 'Dream You Up' is exemplary of that. It’s just so creative. He can take elements of 5 different genres and makes something completely crazy and new out of it... It’s almost like he has absolutely no fear when writing his music, like he’s just going to do what he wants to do and you can take it or leave it. Whenever I want to hear something completely unexpected and off the wall, something that will just blow my mind, DÉ DÉ takes care of that. This album is amazing. Bravo! DÉ DÉ MOUSE never disappoints! Such a talented musician and amazing soul! The new album is superb!